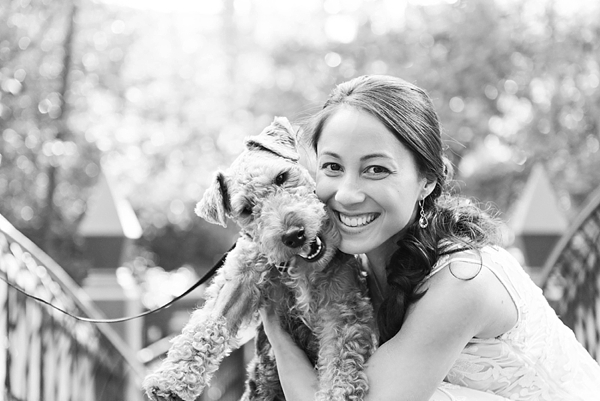 What's not to love about a playful hot air balloon-themed happily ever after wedding co-starring Geoffrey, the adorable pup who was stolen from his humans and returned to Jenn and Mark just two weeks before their wedding? 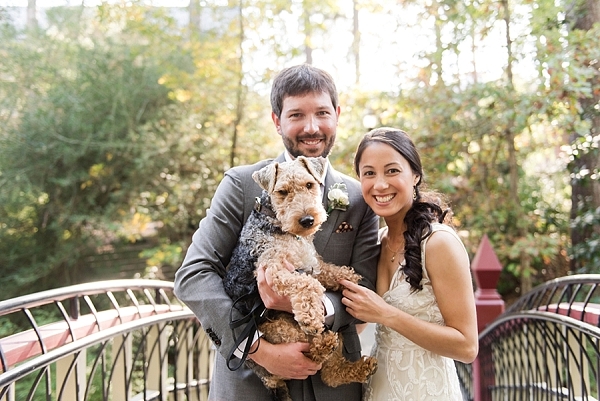 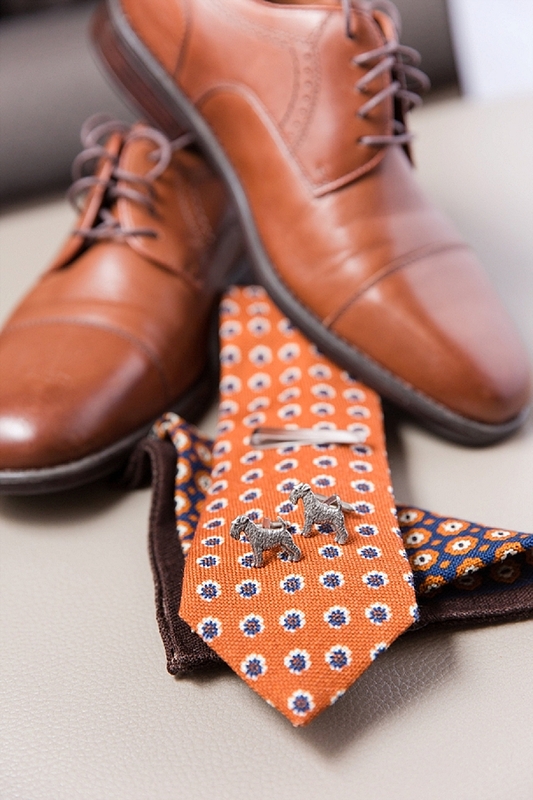 Because he is so central to their lives, this bride and groom included Geoffrey in cute elements like Mark's Airedale terrier cufflinks and in their first look on the Crim Dell Bridge before they said I do at the Wren Chapel! 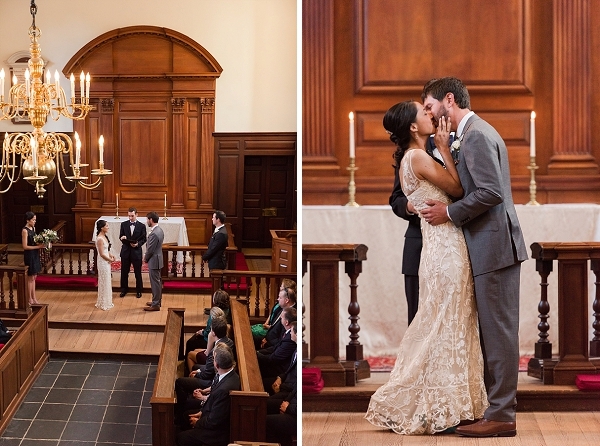 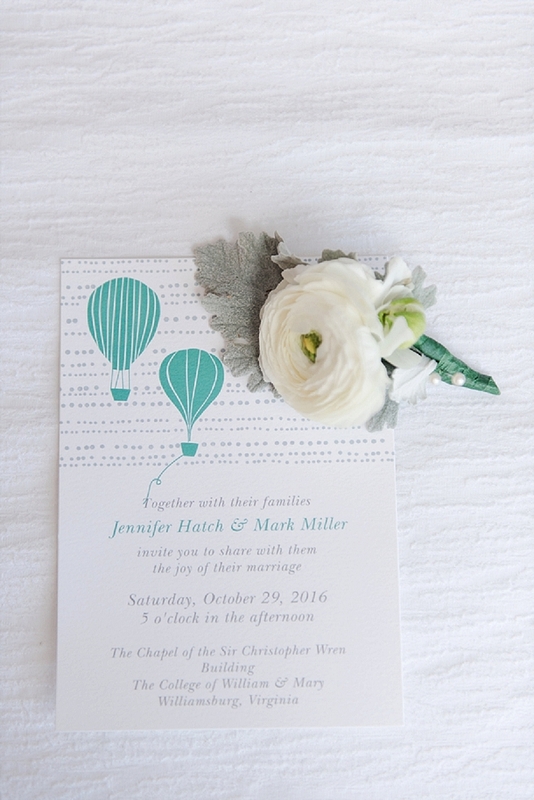 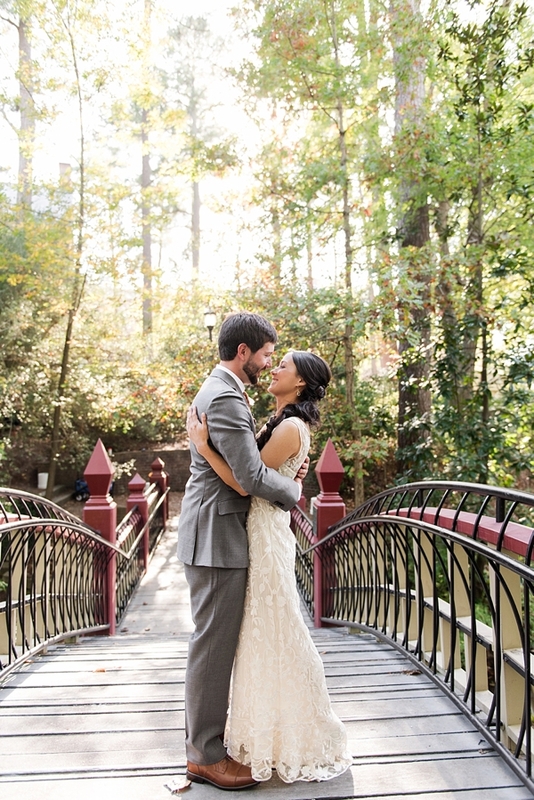 Since Mark and Jenn met at William and Mary on the rowing team, it was an alumni-filled day! 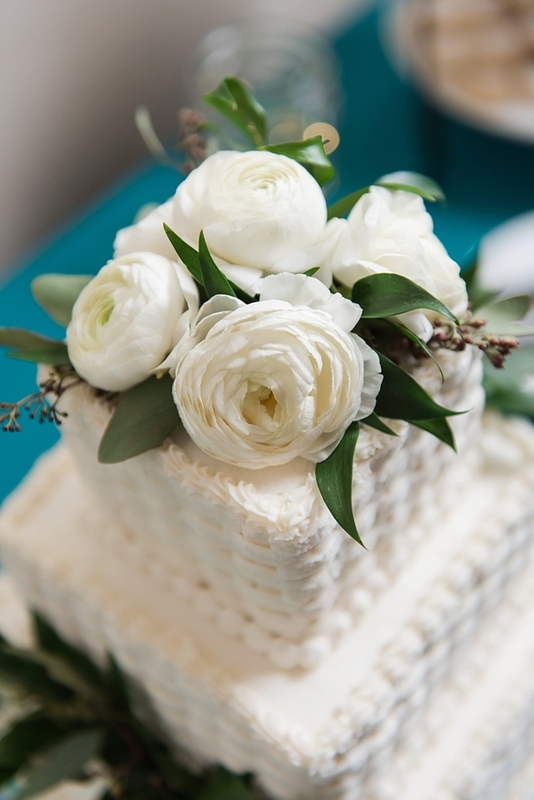 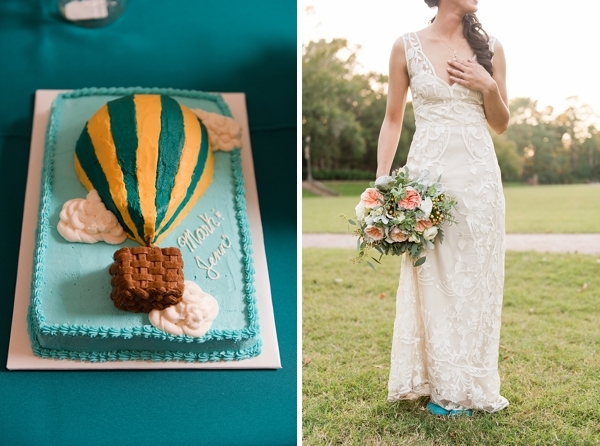 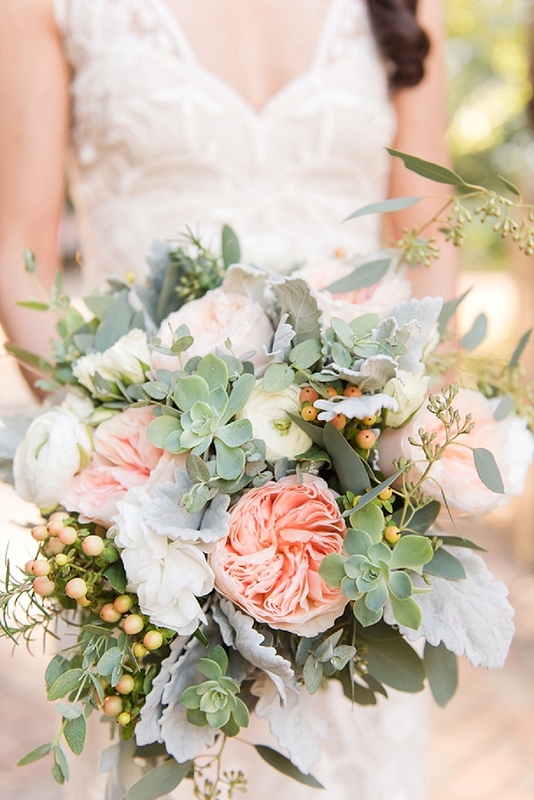 We love the way Meredith Ryncarz Photography captured the sweet details such as a bridal bouquet filled with garden roses and succulents and a 3-D yellow and green hot air balloon groom's cake that matched their college's colors. 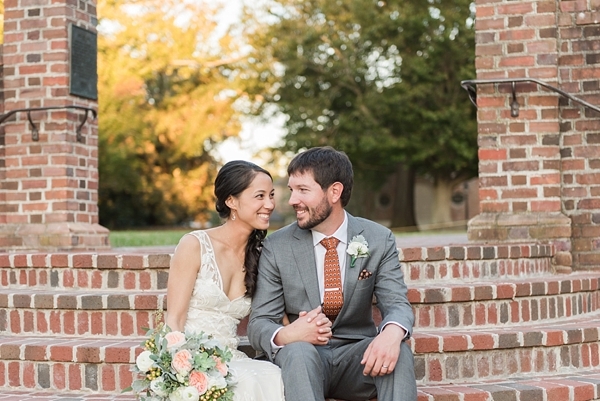 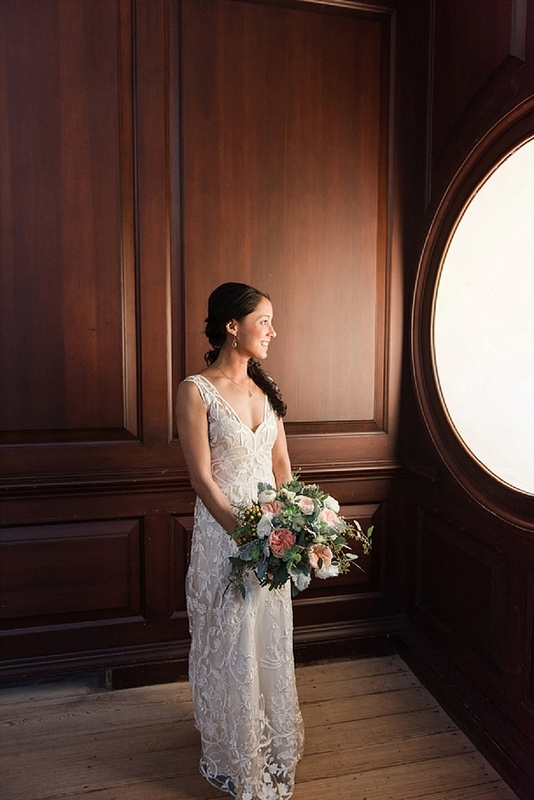 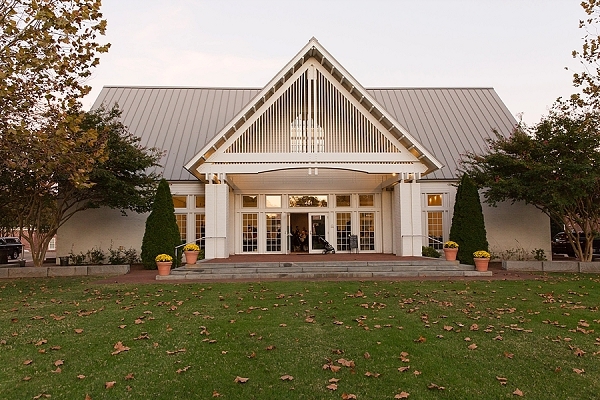 Between Geoffrey, a beautiful campus, and the lovely Williamsburg Community Center that was previously the scene for their first dance together during a Greek Formal when they were students, this personal celebration made for their guests who came from near and far.